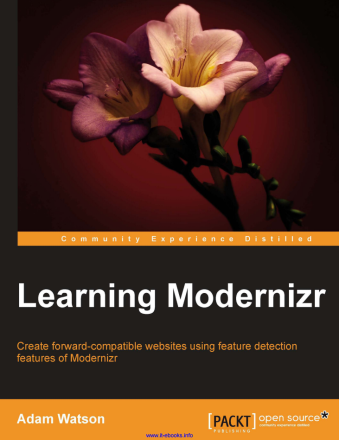 Книга “Learning Modernizr” расскажет о библиотеке Modernizr.js о том как пользоваться библиотекой, как подключить, как настроить. Build a progressive experience using a vast array of detected CSS3 features. Replace images with CSS based counterparts. Learn the benefits of detecting features instead of checking the name and version of the browser and serving accordingly.